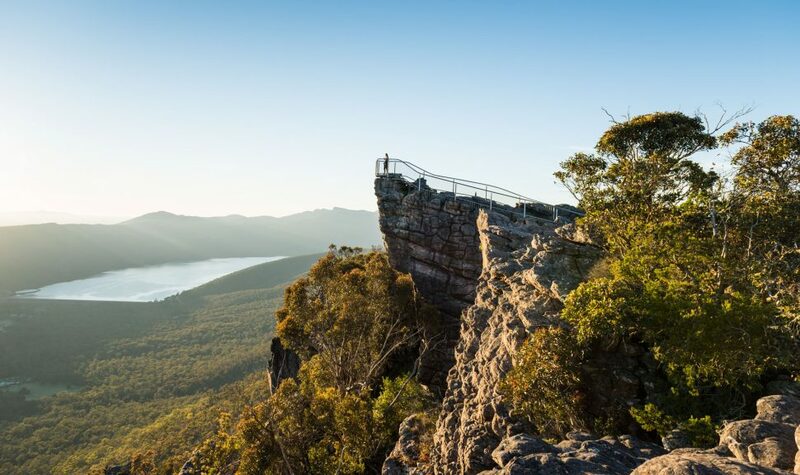 The iconic Pinnacle walk and lookout is one of the highlights of the entire Grampians region. 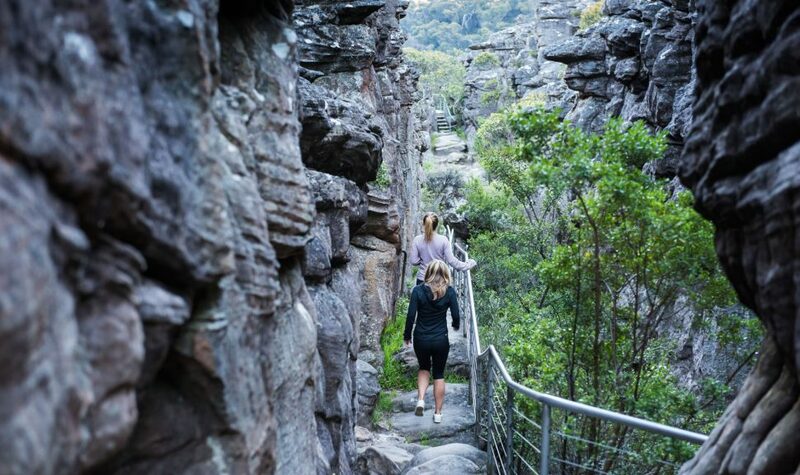 Hikers are rewarded with stunning views of Halls Gap and the Grampians' many peaks. From Sundial Car Park is easiest and the best route to use if young children are part of your walking group. 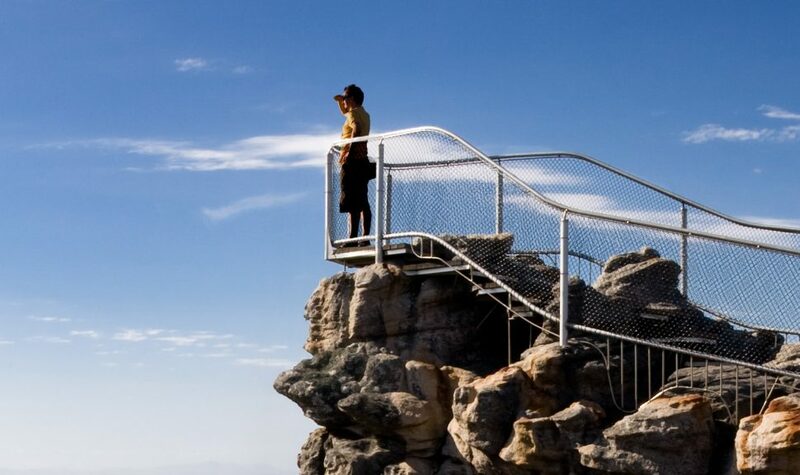 The 2.1km walk up will take a little over 2 hours for the return trip allowing time for a rest at the top. It does include some water crossings and rock-hopping, so good sturdy shoes are essential. From Wonderland Car Park is slightly more challenging and ascends via the impressive Grampians version of the Grand Canyon with its unique Australian rock formations. The walk continues through the Silent Street before rising up to The Pinnacle. Follow markings along the track this walk is 2.1km and should take approximately 1 hour 30 minutes to complete, make sure to take care on rocky areas that can be slippery when wet. 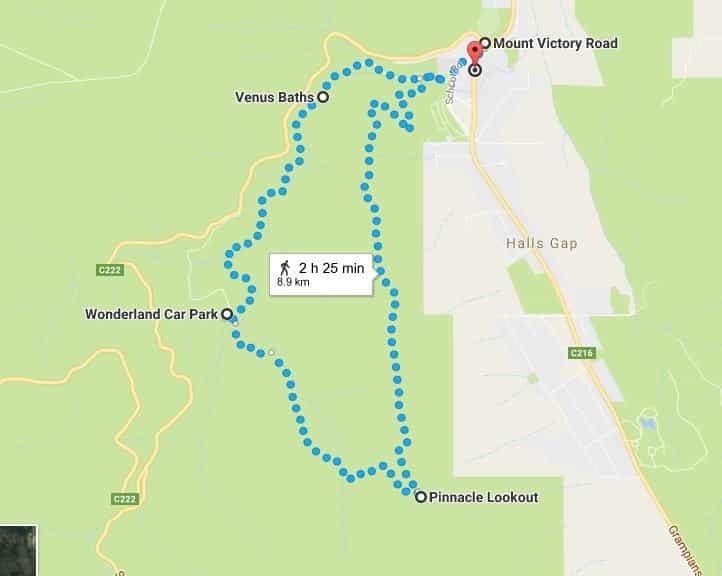 Starting at the Halls Gap Caravan Park this extended walk is 9.6km and will take around 5 hours return, it is suitable for fit and experienced walkers. Follow the well-formed track to Venus Baths. The rocky track continues to Splitters Falls then to the Wonderland Car park.